Question: Do you have the best neighbours in the entire world? The correct answer is no you do not, because you do not have the neighbours that our family has. When the property next to our family home was for sale a few years back, we were a bit anxious about who might move in next door. Our family is large and loud, and these neighbours would be sandwiched between us and other parts of our family, and honestly, we can be a lot some times. But seriously, we could not have picked better neighbours out of a catalogue. Case in point, we have three small boys tearing our place apart, Niko, who is 2.5, and his cousins who are 2 and 1.5. Our neighbours have two teenaged sons, and because they are amazing they saved ALL of their toys and have set up a toy library in their home for us to pilfer at will. Not only that, they have probably the world’s most epic Thomas the Train collection, which they schlepped up to their covered carport for us, AND moved their truck OUT of the carport, so our kids could have a large, flat, covered surface on which to set up the trains. 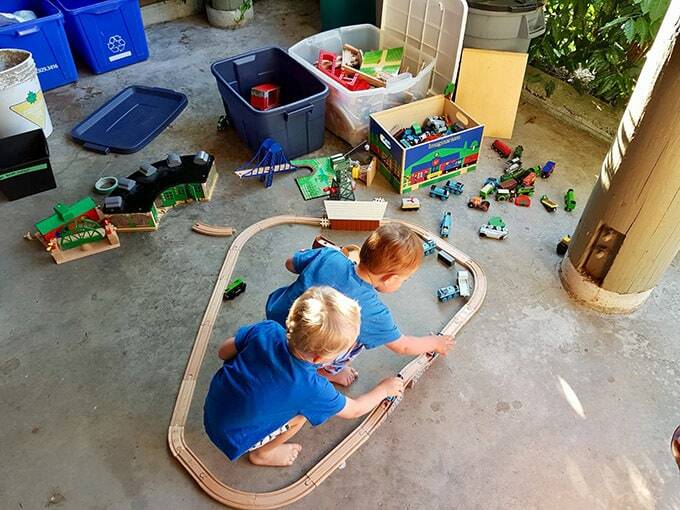 Needless to say I’ve spent a lot of mornings drinking my tea sitting in a folding chair in the neighbour’s carport while the boys kept busy with the trains. Also, the train track got a lot more complex after this photo was taken (and adults got involved), and is still going strong. Earlier this week, Paul, Niko, and I took a trip into the Oakanagan to visit some friends in Kelowna, BC. It was a great time! Smooth driving both ways, and good times with friends. Though I am an ocean girl through and through and prefer rocky beaches since that’s what I grew up with, Niko really loved the warm waters and sandy beaches at the lake. 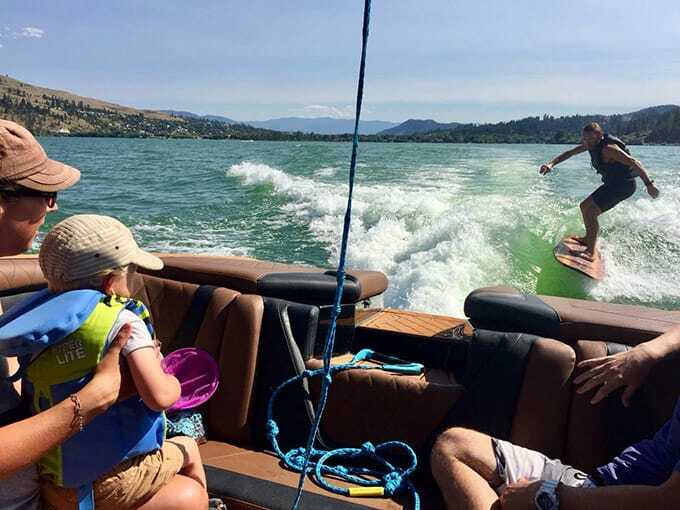 Paul and his buddy spent a few hours wake surfing one day, and we joined them on the boat for the last hour or so. It looked like a lot of fun! Look at what you can’t see in those spoons… my reflection! I’m always having to scrub myself out of spoons in my photos, so I’m stoked to have finally found some nice tarnished spoons to add to my prop collection. 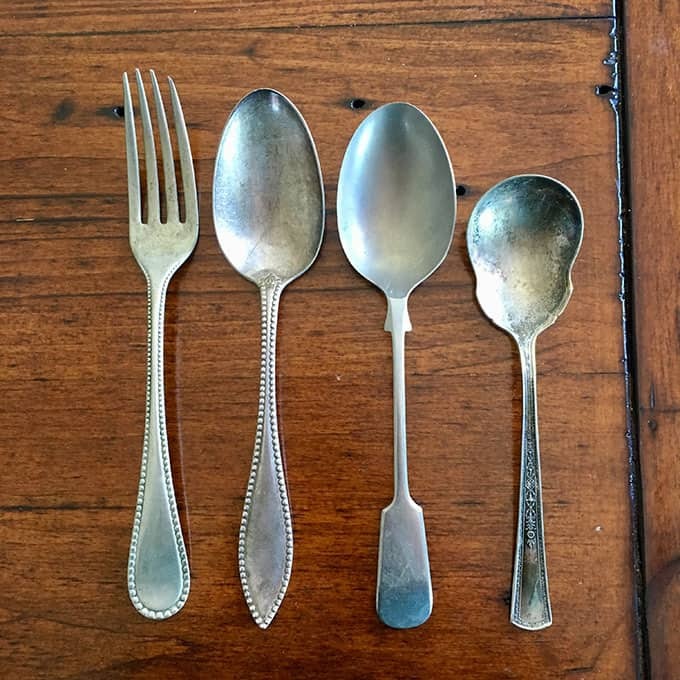 My aforementioned awesome neighbour found the first two (and matching fork) at a local flea market, and I found the other in my parents’ cutlery drawer and fully intend on stealing it. THANKS / SORRYNOTSORRY! 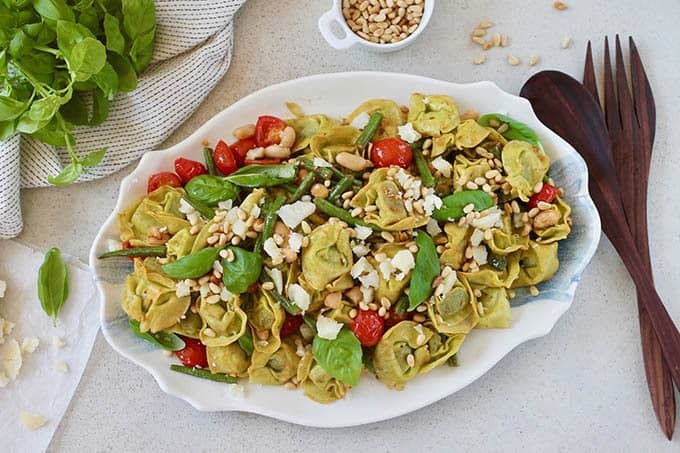 This week we made a super tasty quick and easy Tortellini Pasta Salad with Green Beans and Burst Tomatoes. It’ll take you about 15 minutes to throw together, and is great served warm or at room temperature. Get at it! 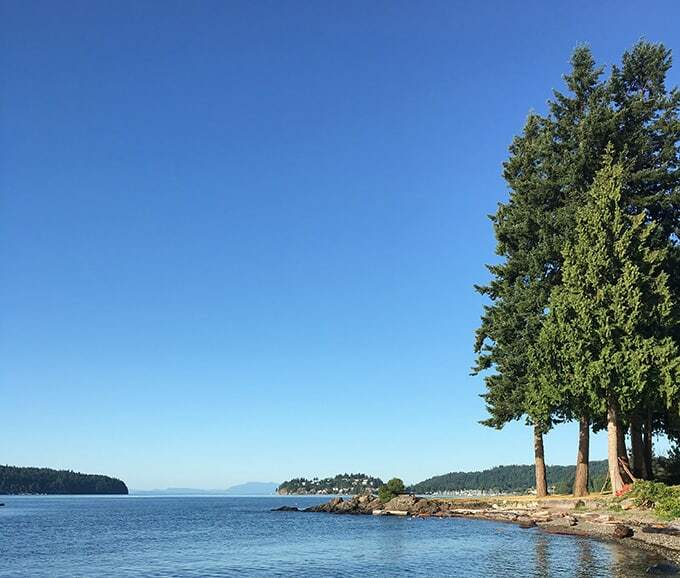 I also ran through my top tips with Eight Ways to Stay Healthy at the Cabin this Summer. The struggle is real, you guys, and we should all be enjoying our summer vacations, but maybe with a sprinkling of moderation? Take what you will and leave the rest. 1. Curried Cauliflower Chickpea Wraps. These make-ahead and freezable vegetarian wraps are topping the charts like a boss this week! 2. Tempeh Bolognese. This vegan riff on bolognese sauce is on fire right now! 3. Vegetarian Breakfast Burritos. Yes! You guys are loving these easy make-ahead breakfast burritos. 4. Vegetable Meal Prep Bowls. This is one of my favourite meals for getting my meal prep on, so I’m pleased to see it topping the charts this week. 5. Super Simple Chia Pudding. A quick and easy make-ahead breakfast. Here’s a quick look at some of the work I’ve been doing in other places around the web! Ever wondered what it actually looks like to eat 75 grams of protein a day? I’m over on Hello Veggie breaking it down. I also created a guide for getting enough iron as a vegetarian, and took a look at what it looks like to get eight servings of vegetables in each day. On Hello Glow I created a Healthy Summer Reset Meal Plan that doesn’t require you to turn on the oven! 1. The Big Business of Being Gwyneth Paltrow. 2. If you accidentally bought a bunch of clingstone peaches, Sarah has got your back. Here’s how to cut a peach in 15 seconds. 3. I am a person who does not like to be pressured to give out hugs. My body, my decision. Here’s a handy flowchart to help you decide whether or not you actually need to dole out a hug. 4. A recent Harvard study has shown that researchers and reporters overstate (and often drastically) the results of science and health studies in the news and on social media. 5. Fool’s Gold: What fish oil is doing to our health and to the planet. Love the hugs flow chart. Thanks for sharing.